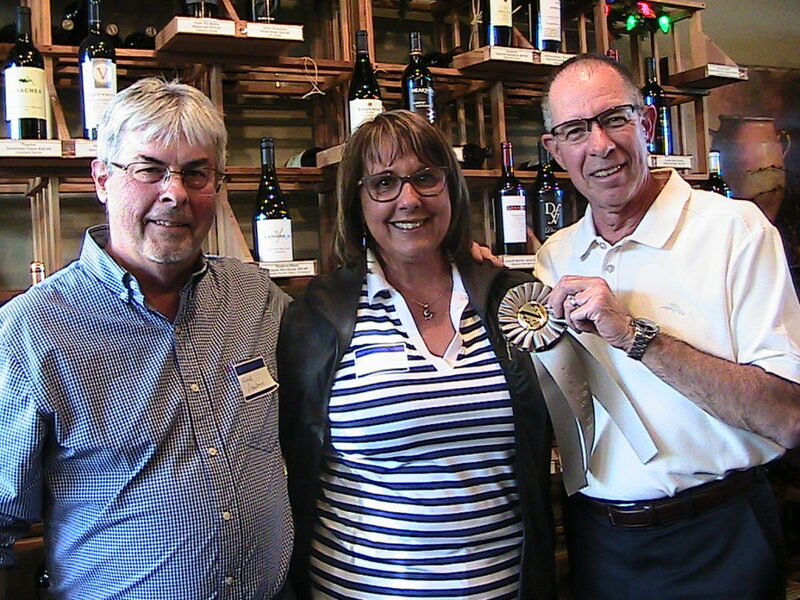 Jan Senini (right) and daughter Tina, with friends Joe Wozniak (left rear) and Joe Henry (center) celebrated three gold medals at the Nevada Vines & Wines Homemade Wine Compeition. The region’s roster of recognized winemakers expanded at the 2017 Nevada Vines & Wines Homemade Wine Competition. Longtime winemaker Jan Senini was among those entering for the first time. She and a supporting cast of family and friends took home three gold medals. Senini started making wine 17 years ago with her late husband, Claudio, who learned the craft from his Italian father. Jan entered Claudio Senini’s 2012 Cabernet and his 2012 Barbera into the competition. Both captured gold medals, with the Cab grabbing double gold. Jan Senini shares credit for her gold-winning 2014 Tempranillo with others who had a hand in making it. Daughters Tina and Sylvia, and son-in-law Joey played a role, as did family friends Joe Henry and Joe Wozniak. Any thoughts of going pro? “Too much work, too many regulations” says Senini, prompting toasts and murmurs of approval from her entourage. The Senini wines were made with California grapes. 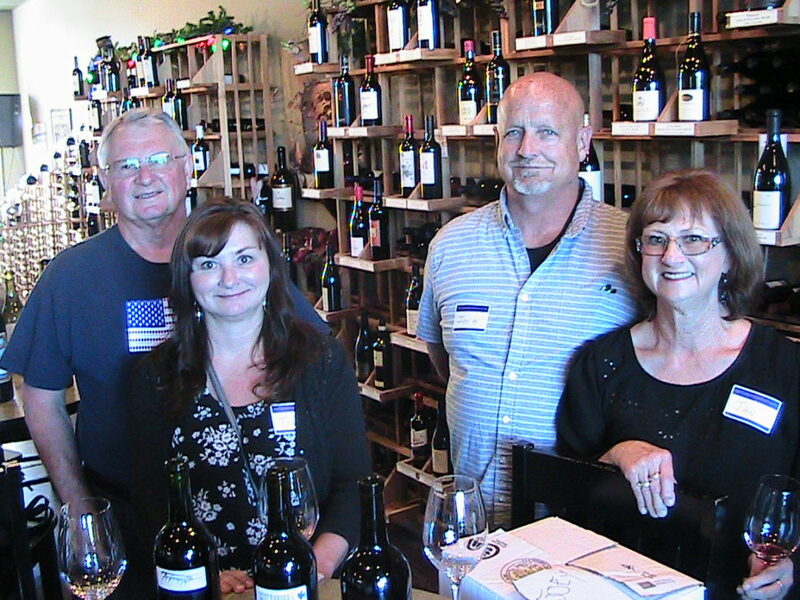 Steve and Irene Self won a silver medal for their 100 percent Nevada grown Merlot. The couple also turned out a pleasing blend of Viognier, Cab Franc, and Merlot, they say, but it wasn’t ready in time for the competition. They’re tending 80 vines at their Lakeridge Shores property. The first-time competitors told GBN they knew their wine was good, because they drink a lot of good wine. But there’s more to their success. “We were lucky, we had good fruit, and Irene did a lot of research,” says Steve. The Nevada Vines & Wines awards ceremony took place at Fine Vines in northwest Reno. The 2017 competition drew 49 entries from northern Nevada and Sacramento, said Becky Bamberger, wife of contest organizer Steve Bamberger. The complete list of winners is published here.